From the opening strains of “Crutch & Cane”, it’s easy to see that Peter Wolf Crier, the Minneapolis-based group consisting of Peter Pisano (vocals, guitar) and Brian Moen (percussion, vocals), is on to something special. Inter-Be is a lo-fi indie album at heart, and its songs were penned by Pisano during a self-described weird, lonely time, written late at night in a rush of words. The album is more than just that, though. It’s rich with sound, with the two men creating enough noise that they easily could be mistaken for a four- or five-piece band. 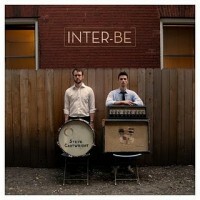 Inter-Be pushes on like a steadily moving train, driven forward by the determined clatter of Moen’s percussion. Even songs like “Demo 01”, which seem to yearn to be more traditional ballads, don’t escape the fuzz and rattle treatment which weaves throughout the whole album. Pisano’s vocals, often richly layered and at times distorted, combined with Moen’s intense drumming, really help distinguish the album from its other lo-fi brethren. 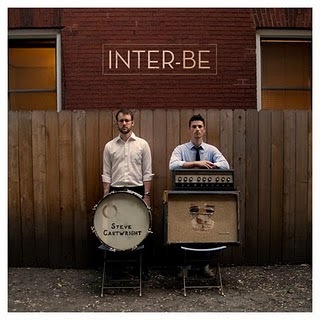 Inter-Be was self-released digitally by Peter Wolf Crier in 2009, and is being re-released today on Jagjaguwar. You’ve got two opportunities to catch Peter Wolf Crier here in Chicago: they’re opening for Freelance Whales at Schubas on June 11, and for Heartless Bastards at Bottom Lounge on July 24.